Certified Master Hypnotherapist Michael Newton developed a technique to regress his clients back in time to recall memories from their past lives. During this process he stumbled upon a discovery of enormous proportions. One of the most fascinating aspects of Newton’s work was that it didn’t matter who he was working with or what their previously held beliefs were in regards to the concept of “a soul” or reincarnation — in fact, many didn’t believe in these concepts at all. After coming out of a session, many of these people were changed forever. They were able to recount some of their past lives and feel and clearly see the relationship those previous lives had to their current life. In the world of hypnotherapy, past-life regression is almost common, but what’s unique about Newton’s work is his ability to get his subjects to recall memories from being in the womb, and then from before that point as well, to the place between each life. This was a place where, often, all of the soul family was waiting and welcoming with open arms. Many of the subjects were often surprised to see who was there as some of these people had provided a challenging experience for them in their previous lives. According to Newton, the hypnotic responses from his subjects in regards to the afterlife provided credible information because of the consistency in their reports. Often the subjects would even use the same words and graphic depictions of where they were and what they were seeing. Newton had no reason to feel that anyone had a motive to fake their stories, and treated each case as if he was hearing the information for the first time. In other words, he was not suggesting words or ideas to them, but rather giving them the freedom to express these lives on their own. The similarities between the subjects was quite astounding. In one instance a woman who had always faced challenges with her father in her current life saw that his soul had actually inhabited the body of the man who was the one who killed her in a past life. She was able to see how the members of the soul family aren’t always who you might expect. Some people who have caused us the most grief may have been doing so for our soul’s best interest, in order to help us grow. For some of us, this work may resonate on a deep level. I know for myself while watching a documentary on this subject called, Flipside: A Journey Into The Afterlife, and hearing the people recount their previous lives or the place that was often described as “home,” no part of me doubted anything they were saying for even a second. This information resonated to the very core of my being and just happens to go along quite nicely with my previously held beliefs in terms of reincarnation and the afterlife. Of course, we can never know for sure, but the topic of past lives and life after death is truly fascinating and can be fun to explore. I highly recommend the book on this subject, Journey Of Souls: Case Studies Of Life Between Lives by Michael Newton himself. It goes into much more depth and provides transcripts of actual sessions with the hypnotized subjects. The following article is the first in a three-part series dealing with scientific evidence supporting the existence of souls and an afterlife. There may be excerpts from A Quantum Soul in a Newtonian World (Outskirts Press, 2016) and The Quantum Afterlife (due out Fall of 2016). Science is not the word of … umm … god. Debunking the debunkers – there can be no proof, but there is scientific evidence, get over it. 1: Science is not the word of …umm… god. Ever since the death of my son on September 2, 2014, I have been struggling with the concept of the soul, and by extension the existence of an afterlife. I wish I could believe in it. I want to believe in it. But, as a scientist, I am the type that needs rational arguments to convince me, and it seemed that the soul was too abstract for my mind. I am not one to resort to blind faith to believe in the soul. I needed evidence. I needed proof. I was navigating the web one night, lost in despair, wanting nothing more than to be done with the pain, looking for this evidence – this proof – and I came upon a response from a Rabbi whose name I never did get. The Rabbi was responding to a young man who had lost his brother seven years earlier, who was looking for the same answers that I was. The Rabbi stated that even if our deceased loved ones were cloned to perfect identical duplication, down to the precise memories of your life together, something would still be missing. That even though that replicate might have your loved one’s expressions and thoughts, voice and mannerisms, s/he would be missing the spark that is unique to your loved one. And, that, he said, is what soul is. I read his response over and over again. I realized that the soul – our soul – is the who of a person, rather than the what of a person. That my son had really only left his physical existence, but that he was still there (here? ), somewhere, and that we will at some point, in some form, be together again. That we still were. Then I became aware of my own soul, and the souls of others who had passed, and I began to feel a universal tug; and my entire outlook on life, death, and the universe changed forever. I have walked between the worlds since, one foot in this physical, or Newtonian world, and one in the spirit realm, where quantum properties and characteristics are the norm. I started to really pay attention to what other people were saying and doing, I began to thoroughly observe, with full sensory acceptance, how animals and plants interacted. I had been a biologist for decades, but only now was I really seeing what life and death were. And I was not alone. With very few exceptions, the people I passively observed and actively interviewed said that they knew that there was something. The phrase life force was used quite a bit. But when I asked them if they thought this was their soul, they would hesitate. Some answered yes outright but others did not want to get hung up on religious semantics. They didn’t want to associate this spiritual ideal with stringent religious dogma. Very few defined soul using scientific definitions. Why, I wondered, are so few people doing research into this, our only truth? We are all born to die. Dying and death are the only absolutes and yet we would rather sweep the concept under the rug and belittle the idea that there is something that enters the body upon birth and leaves upon dying. I decided right then and there to devote the rest of my life to investigating and researching the existence of the soul and all that that entails. Because I am a scientist, I will use scientific methods. It’s what I know and what I am comfortable with. But I also acknowledge that science is limited and limiting and as such is not the only way to investigate something. Those of us who are conducting research into the realm of the beyond, other dimensions, soul’s journey, are blackballed from the rest of the scientific world. People would rather believe that I have lost my mind due to the trauma of losing my child then that I have been enlightened to what really happens upon dying. The fact of the matter is that the reality lies between the two. What is most interesting to me is that these same people who like to judge others, who place their own self-righteousness in place as some marker of truth and sanity, claim to believe, absolutely, in other theories and hypotheses which have not been proven, so why this particular bias? For them, it’s ok to know that atoms exist or that DNA is an absolute truth, when much of the science behind both shows only evidence of the existence, but never proof. Nothing in the universe is certain. Nothing. It is highly probable that atoms and DNA exist. The evidence backs that up. But it is also highly probable that souls exist. The evidence is abundant on this theory as well. My book, A Quantum Soul in a Newtonian World, goes into detail on this, as does its sequel, A Quantum Afterlife. The nay-sayers will say that our thoughts and life energy are simply extensions of the mind, but they can’t define exactly what the mind is. They say that it is all about impulses and sparks within the neurological network that makes up the brain, but they have no idea what that means either. No one does. Not fully. Not yet. They say that we can prove thoughts and emotions as simple brain functions because we can record the changes in brainwaves as they occur. But when near death experiences occur, and complete cessation of brainwaves are recorded, and yet thoughts are still processed, they would rather believe that a dead brain can have hallucinations than that intelligent energy is somehow being transferred, as in a soul, from one dimension to another dimension. 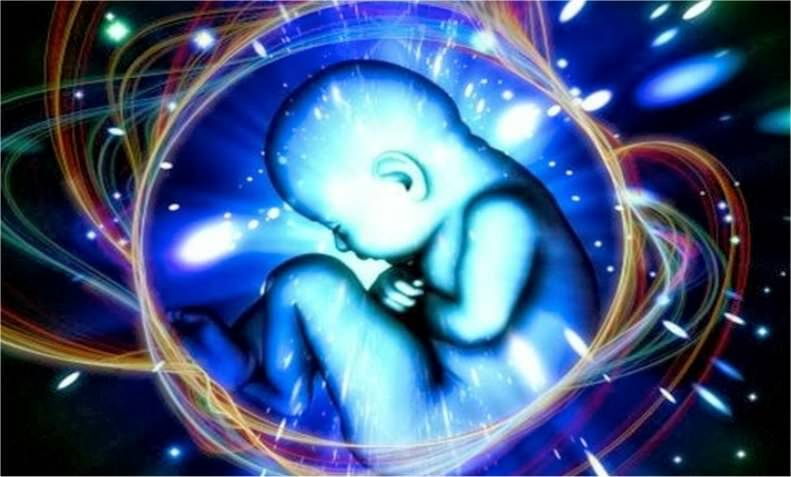 They will not or cannot accept that there must be an energy, one that we cannot fully measure yet, that makes cells function and communicate, and that drives biological and chemical processes. There is nothing supernatural about our souls. There is nothing religious about the existence of our true selves. There is really nothing scientific about our souls other than that science is an acceptable means for providing evidence of the possibility of the thing. When the quantum sciences came along and challenged the cogs and wheels mentality of Newtonian thinkers, they once again were selective in placing limitations. But until the advent of the internet and social media, it was a very hush-hush thing shared only within the science world and only within closed circles. Now it’s not so easy to hide facts and evidence; and it is much easier to share information and experiences. Through the quantum sciences, in particular quantum biology, evidence of the existence of the very small and non-linear – those things that surround us but are invisible and behave in seemingly magical ways – can be gleaned. The idea that we are quantum beings having materialistic experiences is a challenging paradigm for us because we were born into a three dimensional linearly aligned physicality. And for too long, that physicality has been defined within the limitations of Newtonian Laws, or rather by the followers of those laws, often times with their own interpretations – laws that place us as cogs and wheels in an enormous superficial machine with little room for forces beyond simple matter. But we are not superficial machines that run on cogs and wheels. We are complex organisms made up of matter that is in turn made up of energy. Our physical bodies may fit neatly into Newton’s very limited world, but the force that drives these bodies, the intelligent energy that is behind thought and emotion, life and death, can only, for now, be explained through quantum science; and through the technologies we have not yet discovered or mastered. Because of the nature of energy, we are very limited in our understanding of it, and so it becomes this magical thing that we either believe in or not… for now. But remember magic is simply science that has not yet been defined. Thus, anything that is too nebulous to understand, at the time, is labeled magic or philosophy. We need to remember that at some point in history, in fact several points in history, everything we consider science now was considered magic then. By extension, everything that we consider magical now will be considered scientific in the future as technology evolves and understanding is gleaned. Even what we thought we understood, through scientific methodology, has changed. How many theories and hypotheses have been blown out of the water as we gain better insights? We must remember that science is merely a human construct in and of itself. We fall under the excuse that magic is of gods, but science is of men. Not everyone believes in gods. Not everyone trusts the wisdoms of men. We made science. We decided that magic and faith weren’t enough to go by so we created a system that would be more succinct and consistent, an attempt to even the playing field. But that succinctness and consistency is defined by us. We decide what succinct means. We decide what consistent means. Humans created language. Then we fit our scientific ideals within those constructs. We are making this up as we go along. Always, the various disciplines of science, regardless of type, focus or methodology, were developed through the minds, hands and hearts of humans using the tools available to us at the time- tools that we either discovered or created, like fire, hammers, and computers. And, because science is a human construct, it is at the mercy of its creators. Just like magic. Like small gods giving birth to worlds, the creator and the created fused; and the philosophies grew with their followers. And so too did the limitations. And yet everyone wants scientific proof of anything being espoused. Until they are given that proof, they label the entity as metaphysical, paranormal, or supernatural. But science is not about proof. It is about evidence. Science cannot prove anything because proof is subjective. The only person who can prove anything to me is me. Only I can decide if something is true or not. The evidence of the thing is objective. Evidence cannot buckle under opinion. It’s just data. Personal bias cannot sway evidence. It doesn’t matter what you think, the facts are just the facts. Selective wiles and cyclical arguments are the hallmarks of close-minded, biased, judgmental people. Why do we care what fanatics from either extreme believe or do not believe? They are ignorant bullies who think that by using words bigger than the ones you use makes them superior and therefore they must be right. They may not be right. We have been taught to think in terms of human experiences and not soul experiences. This is a necessity since we are in a physical form in a dimension that is based on time and space. Unfortunately, we get tangled up in this physicality and forget how to communicate that which is most important to our existence. Perhaps that’s part of the experience. We simply need to break through the static. We are quantum souls living in a Newtonian world. Science is not the end all to be all, but it’s what we have so let’s use it responsibly recognizing the limitations. The New Reality brings with it a new and expanded vista of awareness. In order to operate successfully in the new environment, you have to apply the new principles which come with that expanded vision, with that greater vista of reality. that awaits us at death – and keeps us in the Matrix – is a grim and highly disturbing notion, but one which I believe has to be considered by all serious researchers of the global conspiracy. True free thinkers want to know exactly where the global conspiracy rabbit hole ends. Just how far does the suppression go? Past this lifetime? Past this planet? Well, the answer may well be yes to both. After you spend years of research going through the many layers of political corruption, corporatocracy, surveillance, false flag attacks, central banking, GMOs, geoengineering, Zionism, Illuminati bloodlines, the radiation agenda, UFOs and ETs, alien intervention and more, you come to realize that the true source of the suppression is at the intersection of consciousness and conspiracy. have been taught is a lie, including why we need to constantly incarnate into a system of economic subservience. Greetings, dear ones, I am Kryon of Magnetic Service. My partner steps away from his consciousness in a move that has been practiced for years. This is not an easy Human attribute, for yet again the Human wants to be in complete and total control over those things that are most pertinent to their survival. One of them would be their consciousness, so the channelling that you see with him is a bit different than that of the past. We have said this before, that there is no takeover of the Human Being during this process. There is instead a meld, a partnership, and that is what you see. So as my partner steps aside, he is looking and watching everything that is taking place. He is even able to write it down later if need be. This is because we have a Human Being who is able to work with that sacred part of himself that is new and different. It’s a participation instead of a takeover. What you see in this new way gives the ability for humanity to then participate intellectually and emotionally as the messages are given. This enhances the messages, for the Human who is in this channelled state is a translator. He is translator using the language he has and moving through a system that is located in the portal of the pineal. The system is a multidimensional communication through a source that is in 3D [the pineal gland]. All of this is to say that what comes next, like so many other channels that we have given, is a combination of new information combined with things that we have stated before, but that have been spread over many channels. So now we coalesce these things into one message in order to bring forward a new concept. What do you think about when we say Akash? We have named this channel The Elusive Akash, so we already make the statement of the attribute we are going to talk about. The Akash of the Human Being is a history of everything the Human Being has experienced on planet Earth. Now, there are more Akashic attributes inside you that go beyond humanism, but they are very well hidden and not the subject of tonight. So you might say that most of what you have as we define the Human Akash is your direct experience on Earth. This Akash is also well hidden and it is elusive, but it shows itself all the time in ways that you don’t recognize. So we start here by describing how it can actually be inside you, yet you would not be unaware of it at all. Most Human Beings have no concept that they deal with the Akash every day. Most Humans aredriven by it, yet they never know it. So I want to set the stage by telling you right now that the Akash is not something that communicates with you in a traditional way. It’s not what you would expect. Let’s back up a moment and look at the overview. The Akash is a system, dear ones, and it is beautiful. I sit in front of you knowing who is in the room and knowing about your lives, all of them. I know the puzzles you carry around today. I sit here as an advisor who has never been Human, watching you work a Human puzzle, which is amazing to me. You are what you might call a soul group who are all specialists in biological being expression[Kryon’s description of a group who specializes in walking through multiple Human lifetimes]. The creative source, which is God, who has made the Universe, the galaxies and all that is has an elite grouping of specialists, and it’s you! You are part of the soup that is God who specializes in doing what you’re doing. It’s a difficult role, so only a few trillion are selected to do it. If you want to know what’s at the core of your soul as a specialist, it’s love and compassion. That’s the core. It’s not always seen that way, but it’s there, and when you come into the earth, your mission is to give it away – to share it with the very energy of the planet. The Akash is a system that helps to drive Humans into situations of learning and solution. DNA communicates to you and your consciousness in a different way than your brain does. We have described this in the past, and it is complex. But I’ll say it anyway: Information carried in your DNA has to get to your brain eventually in order for you to cognize it [become aware and believe it]. It then arrives in your consciousness and works a certain way, which we will describe next. It does so with what we call overlapping multidimensional fields. This is not a mystery of science, for in your electronics you have this type of communication all the time. DNA doesn’t talk to you in memory, synapse, structure or linearity. It talks to you in emotional concepts. The process of overlapping multidimensional fields has a name in electronics, and it’s called inductance. It’s also the way that the sun transmits information and even astrological attributes through the sun’s heliosphere, into the magnetic grid of the planet through overlapping multidimensional fields. So this is natural, it’s happening all the time, and it’s fractal [has many repeating parts]. But it all happens at the basic DNA level. You have a field around your DNA that interacts with your consciousness through something we have called the “smart body” or innate. So don’t over complicate this. Just know that the Akash is elusive because it does not allow you to remember as you normally remember things. It’s not traditional. It’s part of DNA communication. The Akashic drivers for humanity, at the moment, are the same ones that have existed for eons. The things that you will sense first from your Akash, that drive themselves into your consciousness, are survival instincts. They are about past experiences that created fear, drama and unfinished business. You know I’m right. What is it you sense, old soul? It’s what you’re afraid of. The Akash will deliver this to your consciousness, not as a remembrance of what happened, but as a survivalemotion of what happened. These Akashic attributes are called drivers because they drive you into action, or in many cases, non-action. You feel something, and you won’t go there or do something because of what you feel. Is it intuition or Akashic remembrance? The concepts you receive are at the DNA level and they radiate to your brain and drive you through this exposure to the emotional part of your thinking. Why are these things such low energy? Why fear and drama? Why unfinished business and, yes, let’s call it what it is – guilt. Why? You are an old soul! Don’t you deserve something better than this? We have given you the information before. The energy of what you have created on the planet drives Gaia’s consciousness and the efficiency of your DNA and the future of humanity. It represents your free will up to this point, and that’s changing. Now, in a moment, we’ll talk about one of the most powerful and common drivers and how it works. But first I want to tell you there are always exceptions to the rules, because these things I am telling you are not absolute for every single Human Being. There are always those who are different. The reason is because your life’s path, what you came for and what you are doing on the planet in service to humanity is unique to you. It’s not generic to every soul. So as I give this information, it’s an overview, and that’s all I give you. So let’s talk about one of the profound exceptions to the common Akashic drivers, and this is where you’re going to start realizing what I’m saying is accurate, since you can actually see it. The child prodigy is not driven by fear, drama or unfinished business. The child prodigy who plays the piano like a master when he is four is driven solely and completely by his craft. The painter who paints like a master when she is eight is being driven by her craft, and that’s all! The prodigy could care less about survival as long as they have their craft. It’s all consuming, very linear, and all they can think about. This creates a puzzle in psychology where you will have a Human Being without the possibility of having any remembrance of a complex talent they never could have experienced in this life, yet it’s there. The puzzle for psychologists is: How could this be where it is not part of the brain’s remembrance? DNA is pushing it to the brain as fast as the brain will receive it. It’s the craft of many lives. Where do your hands go? How do you hold the brush? What are the notes on the keyboard? Do you remember the music? These are special cases, dear ones, but you see it often enough for you to know that it doesn’t fit with synapse and memory. That is the Akash at a multidimensional level, pushing something to the child that’s conceptual – art, music, poetry and sculpture. It takes lifetimes to make a master artist, and they will be born over and over, continuing with the craft that they had before. All they want to do is keep going with it. That’s very different from your process, and the possibilities of all the things that I’ve talked about are reduced to one thing for them, the one focus for them, and you get to see it in a child prodigy. By the way, this is why so many artists are dysfunctional, for this continues and they are oblivious to survival reality, others around them, and are only interested in themselves and their craft. The thing that drives most of humanity is one of the drivers you have labeled karma. Now, karma is much more than unfinished business. Karma is not punishment for past deeds, dear ones. That’s an attribute of judgment, which is not of God. Karma is sensing past experience and having an emotional response so that you will either do it again or stay away from it. Karma is powerful and most Humans feel it, but have no idea they are receiving a specific driver from the DNA’s Akash. Karma doesn’t often even feature completion! Sometimes it’s a policeman becoming a policeman, or military men becoming military men again, or mothers becoming mothers. It’s a driver of remembrance of things both positive and negative. Sometimes it’s just emotion. Sometimes it drives someone into a classic mindset that is problematic. You want to know that classic? It’s a classic issue that psychologists really have a hard time with. It’s hard to describe, but you know it exists when I describe it. Sometimes things that you sense from the DNA are not pleasant, but you remember them as who you are – and you can’t live without them. That’s karma. There are Human Beings who come into life and who are convinced they don’t deserve to be here. If that is their consciousness, the DNA tries to cooperate with it. You knew that, right? Cellular structure takes cues from Human thought. Lack of self-worth will manifest itself with problems that create, you guessed it, more lack of self-worth. It also creates drama, and some people just can’t seem to get away from it. Dear ones, you are going to start remembering, not old mythology, but the reality of God. You are part of the puzzle, and you now carry the solution. You deserve to be here and the more you awaken, the longer you are going to live. Consciousness awareness of a compassionate mind will extend life. You will never see an angry God in your compassionate mindset. You will never see the mythology of a creator who has judgment. That never existed! It’s a Human thought placed upon God. Gaia will become your partner on Earth, not a frightening force you have to give offerings to any more than you would a Human partner. You will fall in love with Gaia. Do you see the differences? This is the elusive Akash, which is recalibrating itself to become a lot less elusive. This pushes Human Beings into a whole other consciousness of being. Then you start realizing that the masters of the planet all had it. In closing, we ask you yet again: Who is your favorite master? Who? Put yourself with him or her right now. How do you feel? Your answer will be, “Relaxed, peaceful, safe, so good!” So I ask you again, what did they have that would allow you to feel this way? The answer is what you are learning to have for yourself; it’s peace where there is no 3D reason to have peace, calmness where there is no 3D reason for calmness, an awareness of beautiful, esoteric things that are out of the sight of those who only trust what their eyes can see. It’s the love of God that becomes prominent in your life and completely voids the lies of victimization and fear. You are relaxed and treat others differently. The Akashic concepts of mastery are manifested in your daily life, and things that used to be a problem simply become parts of the challenge of Human living and not a survival issue felt at the core level or pushing your “buttons” of fear. 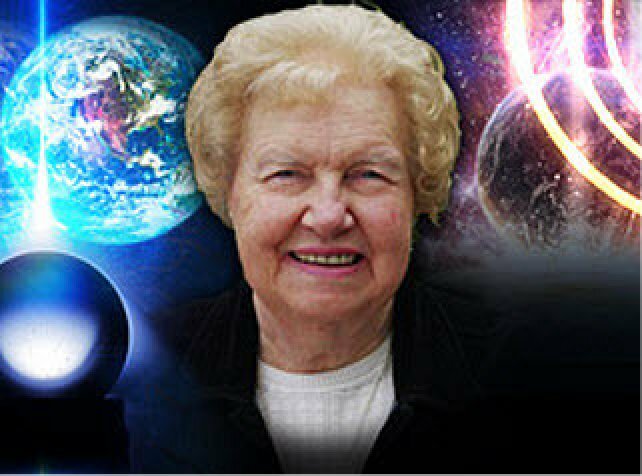 HJ: Seeing into your past lives is not an ability that is limited to psychics, clairvoyants and other mystics. It is actually a skill that you possess which simply needs to be developed just like any other thing in your life you wish to become proficient at such as a sport or creative activity. 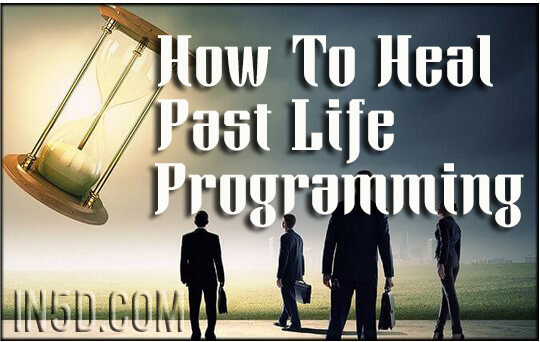 We present below a powerful technique that you can use to begin to explore your own mind and soul history, known as past lives. If you wish to practice this on your own, we recommend making a recording of yourself dictating the instructions and simply play this back at your convenience. Make sure to leave extended pauses between commands to give yourself the time to explore and keep the pace relaxed. The last thing you want to have happen is have a vision interrupted by more premature commands and guidance. The following technique is not to be taken lightly, because it is the beginning of a mental-spiritual experience that will allow you to know yourself. By this it is meant that you, without the aid of a teacher or assistant of any kind — after a few preliminary exercises — can bring into your physical consciousness your entire past. You can recall your incarnations on this planet, your experiences before you came to this planet; in fact, you can see for yourself everything you have experienced since your spirit was released from the Creator. This designation, Multi-Level Awareness, is the correct nomenclature — a direct translation of its designation through more solar systems and galaxies than the present awareness of mankind on Earth understands. This technique, Multi-Level Awareness, is simple. There is nothing you can add to it to make it work better or quicker. It works with everyone. 1. Make a person comfortable. Have the person remove his shoes and lie down. Clasp his legs, one at a time, just above the knee and manipulate your hands downward, stopping briefly at the knee to make certain the knee is relaxed. Then rub on down, to the ankle and bend the ankle; then massage the foot, and then the toes briefly and vigorously. Repeat this manipulation quickly. Next, place the palm of your hand on the person’s forehead, and with a little pressure move the skin of the forehead up and down and sideways for a few seconds. This relaxation process should not be overdone. Ask him to repeat the exercise, only the second time ask him to become “a foot” taller. “Tell me as soon as you have done this.” When he agrees, pause again and tell him to go back to normal size. “Tell me as soon as you have done this.” Repeat the foot tall routine again. Each time ask him to tell you when he has accomplished the exercise. Now go to the other end of the body. “Become a few inches taller by extending yourself out through the top of your head. Tell me when you have done this.” Then back to normal size again. Then, do a foot taller three times through the head. Always ask him to tell you when he is done. The next step requires further exercising. “Now, this time extend yourself through the head, face, body, arms, legs and feet. In other words, blow yourself up just like a balloon. Tell me as soon as you have done this.” Then go back to normal size. All of the time, throughout these exercises, be jovial and keep your voice firm and convincing, yet be ready to laugh, and keep the person going quickly and smoothly through these preliminaries. Once he has done them well, there is never a need to repeat them. Next, tell him to blow up use like a balloon again, only much larger this time. When he tells you he has done this, ask him to go quickly and stand in front of the building where he lives. “Tell me when you are there.” As soon as he says so, start him talking. Ask him to see this and that, and to describe what he sees. Tell him to look for, one at a time, the door, door knob, windows, walkways, trees, shrubs, marks of any kind. After he sees and describes to you, these objects, tell him to “go quickly and stand on the roof of the building and look down into the road (or yard) in front. Tell me as soon as you are there.” Ask him to see and describe such objects as cars, trees, etc. When this is completed tell him to go about 500 feet up into the air and look down. (One in a hundred may object at this point but remind him quickly that he is still safe in the room.) Then repeat the request. “Tell me as soon as you are there.” Ask him to see what he can observe and report it to you. Keep him talking. The person may tell you throughout this phase of outdoor work that he is “imagining things”, but remind, him gently that this is an exercise in awareness and continue, as if he had said nothing. 3. After he has described to you the things he sees from this advantage of altitude, ask him whether it is daytime or nighttime. When he tells you it is one or the other, ask him to tell you why he thinks so. He will say something like, “It is daytime because everything is light, and I can see just as if it were daylight, so it must be daytime.” Or, “It is sort of twilight, you know, just like after the sun has gone down.” If it is nighttime or twilight in his vision, ask him to make it daytime — bright as sunlight. “Tell me as soon as you have done this.” Then ask him to tell you why he thinks it is daytime. Keep him talking, talking all the time. If it was daytime to begin with, ask him to make it night; and then ask him why he thinks it is_night. Turn the days into nights and back again at least three t1mes, but be certain that you finish this phase by having it daytime — a very bright, sunny day. Then quickly ask him, “Who is making it night and day?” Most will quickly answer, “I am!” If he hesitates more than ten seconds, ask him, “Are you making it night and day?” He will agree. It is very important that he understands that he is causing the change. The person is now experiencing a good vision of a previous life. Remind him frequently to, “Look out through your eyes and listen through your ears.” Ask, “What are you wearing on the lower part of your body?” Wait for descriptions, but keep the person talking. The more talk the better he will see in the beginning. Insist that the person do only what you tell him to do and answer your questions; remembering to keep the questions in some semblance of chronological order. Move the person onward in time — skip a day, a week, month or year in his lifetime, but keep him moving and talking. At the end of the second or third lifetime you have run through ask him to “die” and follow through the death, asking, “What happens next?” (When you do not have specific questions.) No matter what he reports, do not question the validity. This is new material for people to understand. After you have run a few people through several lifetimes you will understand that this material is valid. When he has run incidents between his lives, ask him to go back and find his present parents, from the first time he saw them until after he was born. Ask questions, questions, questions. When you discontinue the running process at any time, ask the person, “Do you see any need to continue at this time?” Let him decide when to stop. When you continue with this person at a later time, make him comfortable (but no need to rub), tell him to turn the lights on inside, and go quickly back to where he left off last time. After three to five hours of “coaching” or assisting a person, he should be quite ready to run himself. It takes a person a little time to learn to ask himself questions. As soon as he can ask himself questions, he is ready to go alone. If he reports back to you that he is “stuck”, run him a little more, but make him ask the questions. Practice is of the essence. Soon an entire lifetime can be seen in a few minutes with all senses in force. There are no wasted words in the above. Failure to succeed is failure to follow instructions. It is fun to run and to be run. Change off. The more you run, the better coach you become. Do a lot of both. The value of all that you know and all that you’ve been taught can be quickly be outweighed and forgot by your belief in and support for man-made national, racial, religious and cultural institutions. All wars root themselves in a bed of belief in and support for institutions, and in contrast, the hatred for and stigmatization of individuals within varying alternative institutions. All zealotry and loyalty begins in the feeling of being involved in an institutional family. People are convinced that they are part of an institutional family, an institution that presents itself as immortal. In Tibet and the region, Buddhist lamas are known to reincarnate and return to their monasteries variously proving they are toddler reincarnates and the Dalai Lama is found through reincarnation tests. To the profoundly compassionate Buddhists, heritage and family lineage is unimportant next to the compassionate brotherhood, at the monastery or wherever. Seeking to solve suffering with compassion is much more important than any other community, more important than your family, your friends, your neighborhood, your state, your country and whatever institution you might put before compassion. The Buddha posited love and into four parts; love of self, love of others, love for the happiness of others and love for all beings in equanimity. You cannot love others without love of self and you cannot love at the higher level unless you love at the level preceding it. Loving compassion is true wisdom and the brotherhood of man is the only family one should be loyal to. All else is tribal impulses played by controlling institutions. The institutional apparatuses and apparitions which seek to inspire your enlistment are bogus. 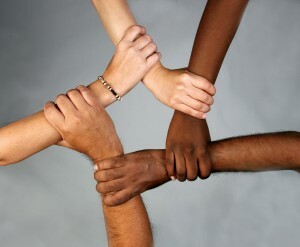 There is only the brotherhood of man. You can see the disturbances caused by people within themselves and outside of themselves when their love is covered up by beliefs in alternatives to the brotherhood of man. Some people hate themselves, many people hate other people, many people hate the happiness of others… and some people just hate everything. Loving compassion elevates all whereas hatred of others, used by institutions, degrades all. Our love, which can be equated to childlike innocence, gets covered up by traditions and training mechanisms, often through instigation of feelings of guilt. We do not lose our love it simply gets covered up by ignorance. We tend to think of ignorance as lack of knowledge, however normally ignorance stems from being full of incorrect ideas and misguided beliefs. Ignorance is usually full, not empty. Let go of your pride for your family and country and whatever institution gained your loyalty and share love for humanity. Calculate which stage of love your heart stops at and push forward through the installed ignorance with a flaming sword of a peaceful warrior. In Tibet and India the flaming sword signifies the weapon of the mind, yielded by the heart. The flaming sword cuts through layers of ignorance, through the training and institutionally supportive traditions layered on us. The flaming sword cuts away the extraneous and superfluous ignorance preventing us from loving ourselves, others, the happiness of others all things equally. Let go of your beliefs and false pride, grab your flaming sword and be a peaceful warrior. If not now, when? Stop make believing.